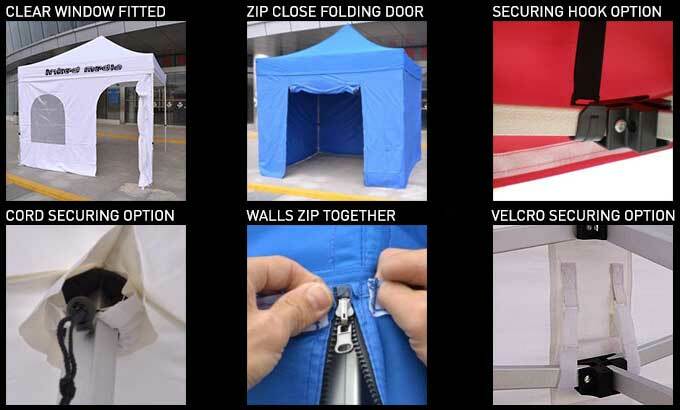 Promotional star tents. 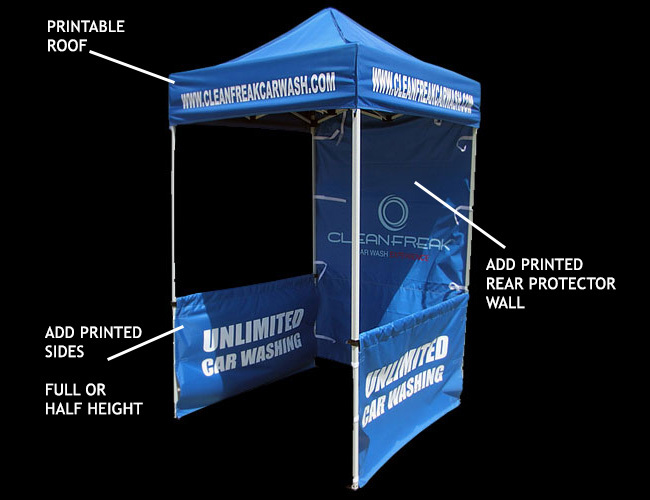 Simple, economic and easy to setup are just some of the key benefits of these promotional tents. 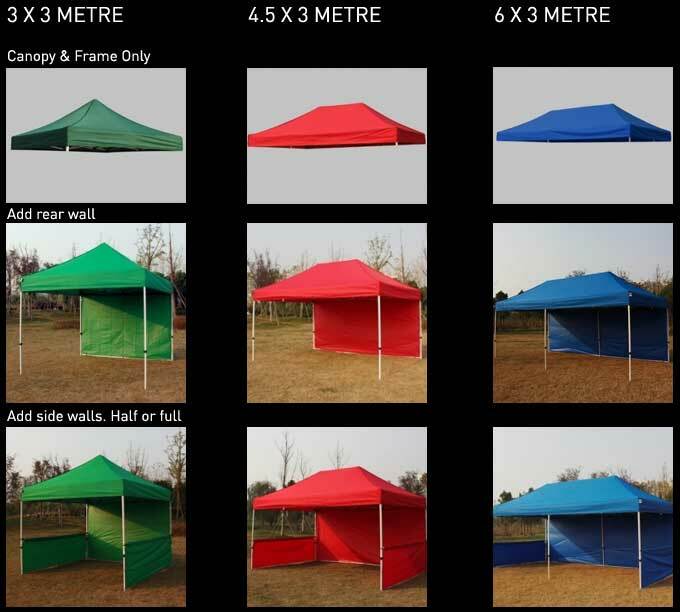 With full colour print accross the entire tent canvas these are perfect for BIG out there branding. Promotional marquee displays are made from high tensile framework. Covered in 500d flame retardant, water resistant UV stable polyester. Which is fully CMYK printed in your branding. Make your company stand out from the rest of the competition with your own personal branded pop up marquee. These weather proof, full colour, printed outdoor marquees are ideal for outdoor events where you need weatherproof cover which also conveys your company branding. We can, if required supply stakes, guying kit, bungies and pegs, mallet, frame / canopy cover and accessory bag. We offer premium quality at the same price as our competitors.